Springsteen is the total package. 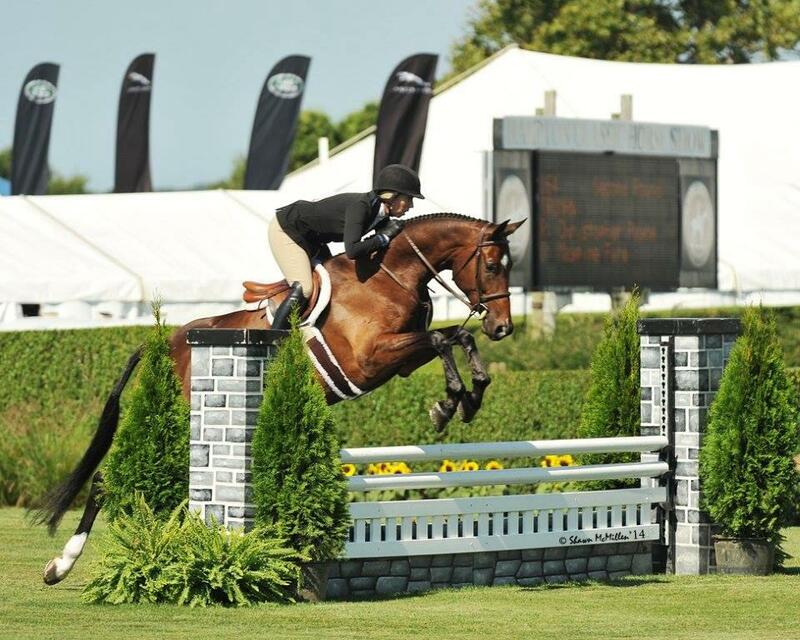 He is a phenomenal mover with a superb jumping style. 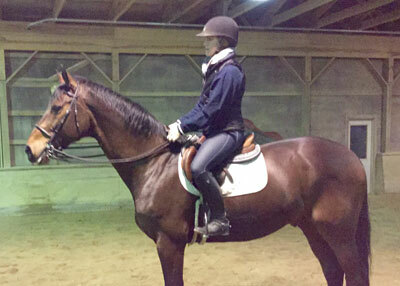 He is a very comfortable ride, with 3 soft and elastic gaits with an easy lead change. 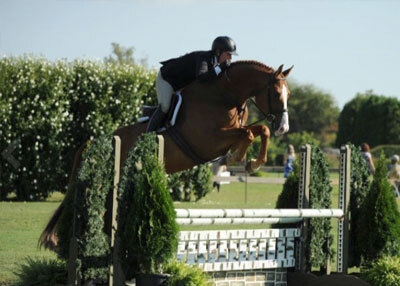 He is a handy and scopey jumper, making him suitable for the equitation and hunter rings, as well as a derby prospect. 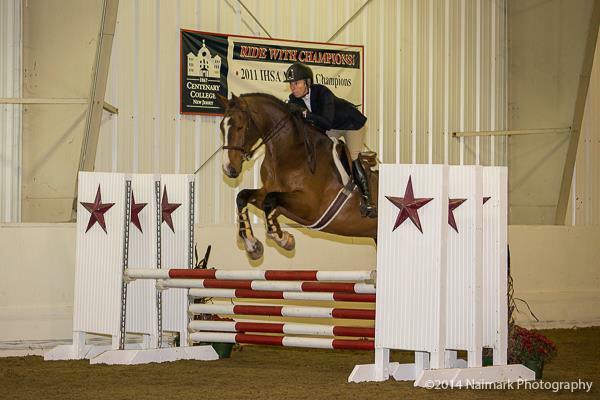 He is ready for a junior/amateur, but will also excel in the pro divisions. Imported in February 2016 and was shown successfully through the 1.40 in Germany. 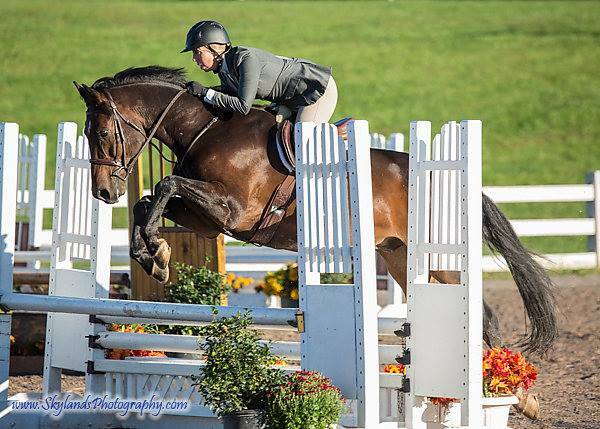 Since arriving has successfully competed in the Big Eq at Medal Finals, Zone 2 Maclay regionals, Mid-Atlantic equitation festival, Marshall & Sterling Finals, Devon, and more. 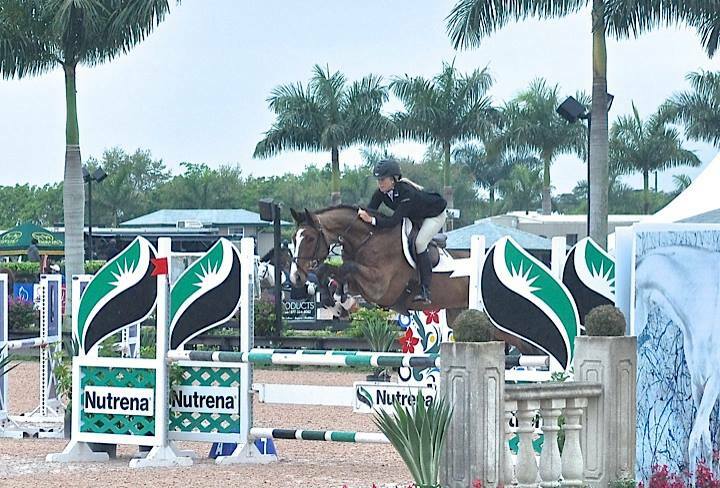 Qualified a first time Big Eq rider for both Medal Finals and Zone 2 Maclay regionals in a few short months. 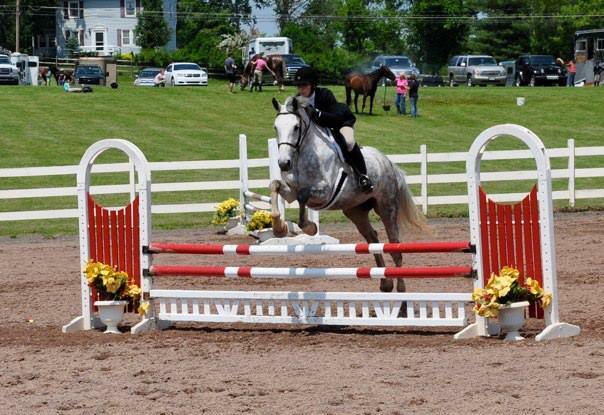 Steps over 3’6 and has proven to be a top equitation horse with a sweet and loving personality. 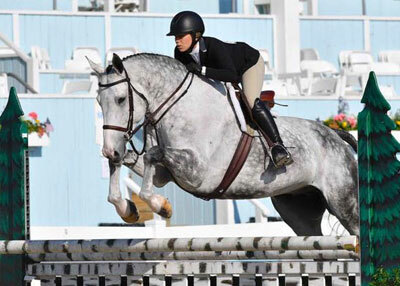 Knows his job and is the perfect horse to show a new Big Eq rider the ropes. 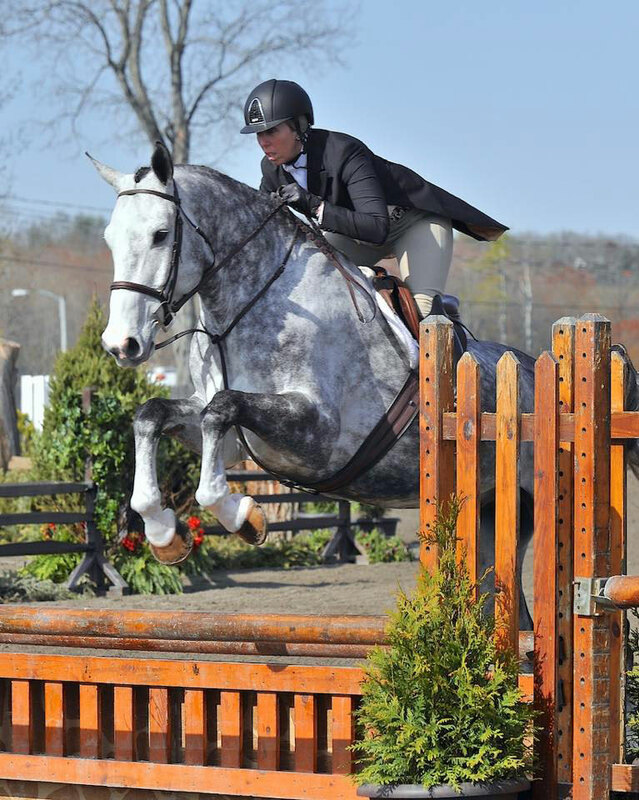 If you are looking for a horse ready to step into the Big Eq ring and win this horse is for you. Imported in Feb of 2017 and is eligible first year greens. 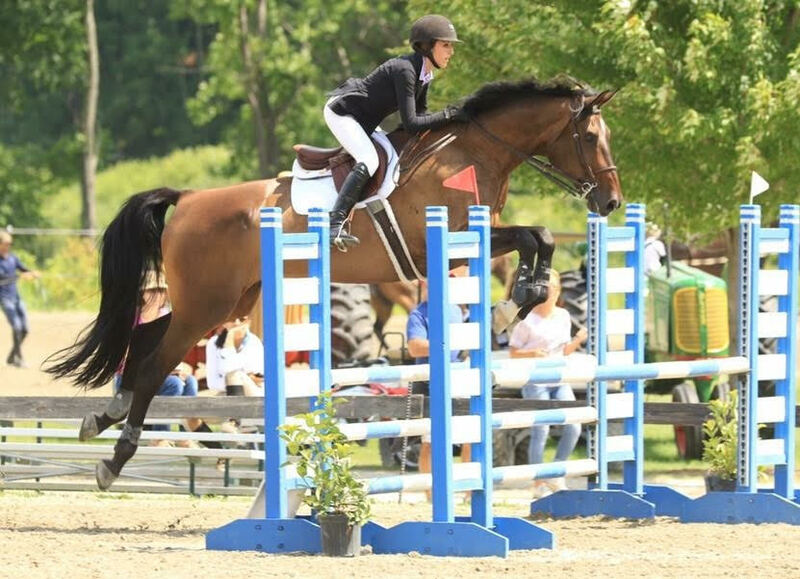 Since arriving has successfully shown in the adult hunters and the 3’ green hunters at Vermont, the Hampton Classic, and more. 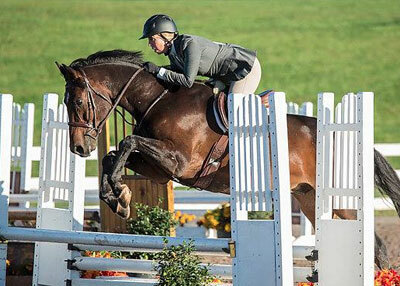 An excellent mover, winning in good company, and a 10 jumper! 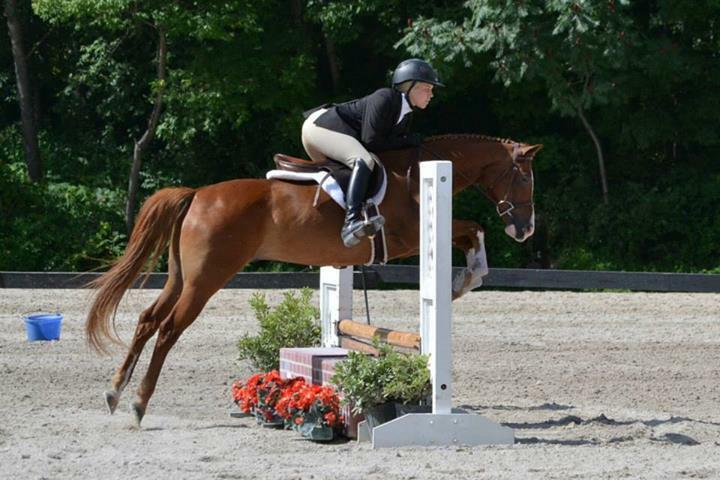 Very brave to the jumps and has a sweet willing personality. 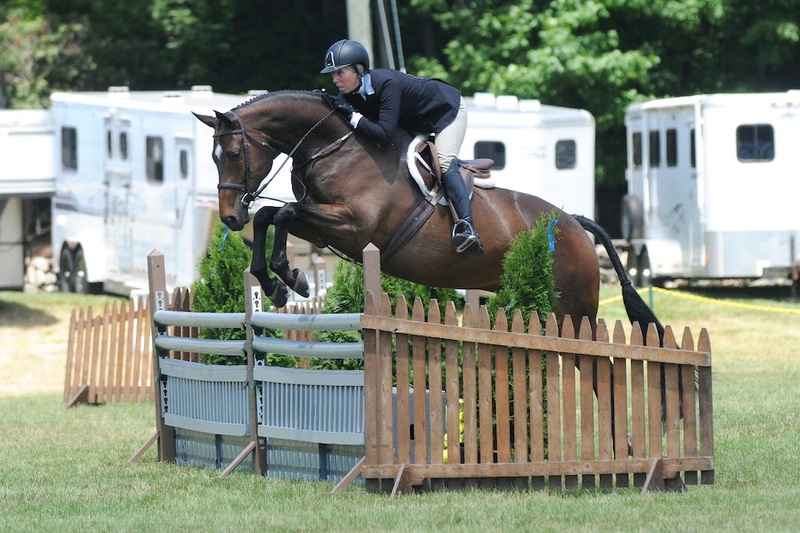 Will make up to be a top large junior/AO hunter and has the scope/step to move up the professional divisions. Imported in July 2017 and is eligible everything. Extremely easy and comfortable with a great brain. 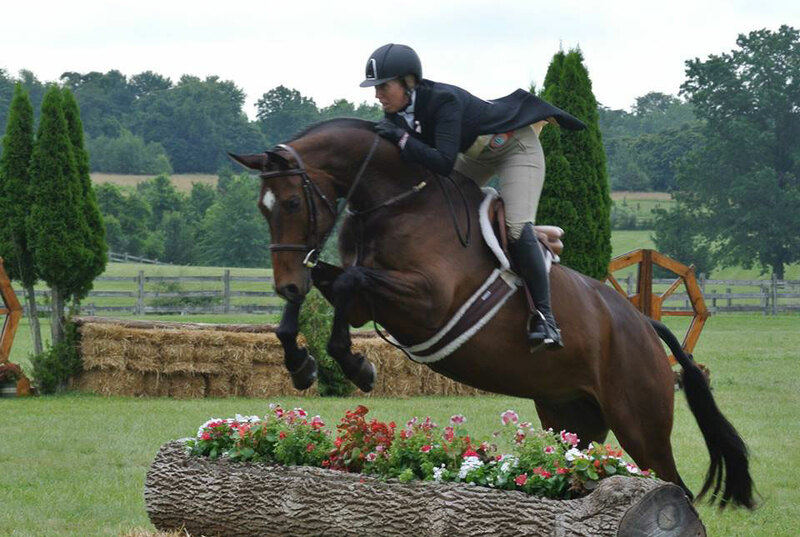 Sister to Camaro M, who is successfully competing in the AO hunters and is a tremendous derby horse. 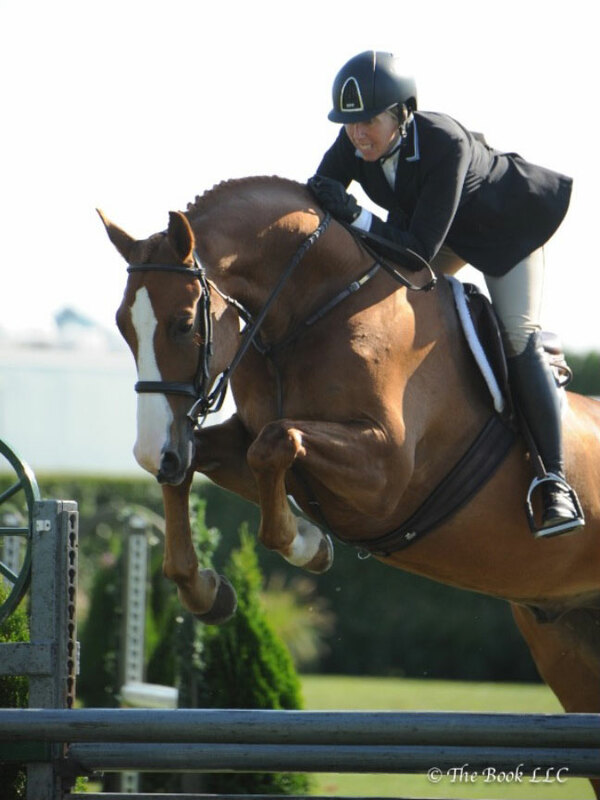 Saying non-marish is an understatement, sweet lovable personality and incredibly talented! Don’t miss out on this exceptional prospect. 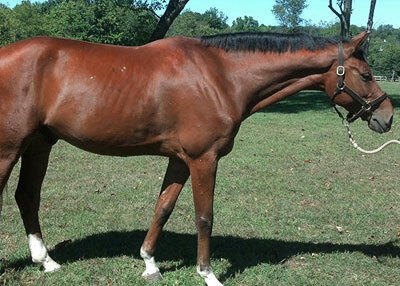 2013 16.2 (will mature over 17) American warmblood by Talisman. Very relaxed, laid back attitude. 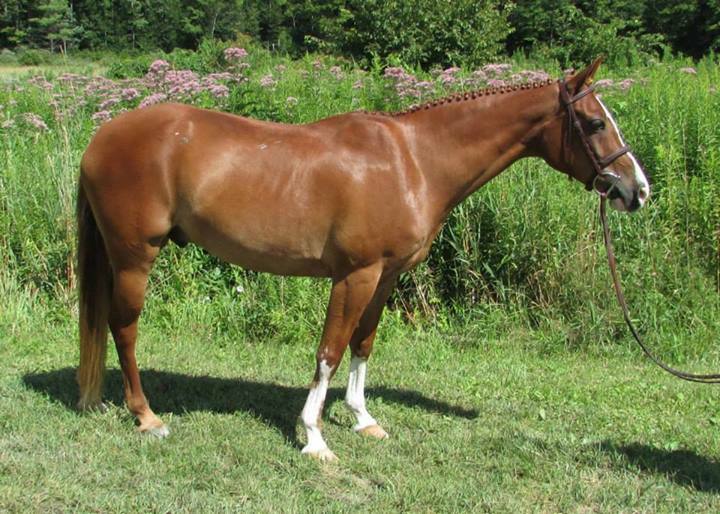 Crossties, stands for farrier, comes on trailer and loves to be turned out with others. 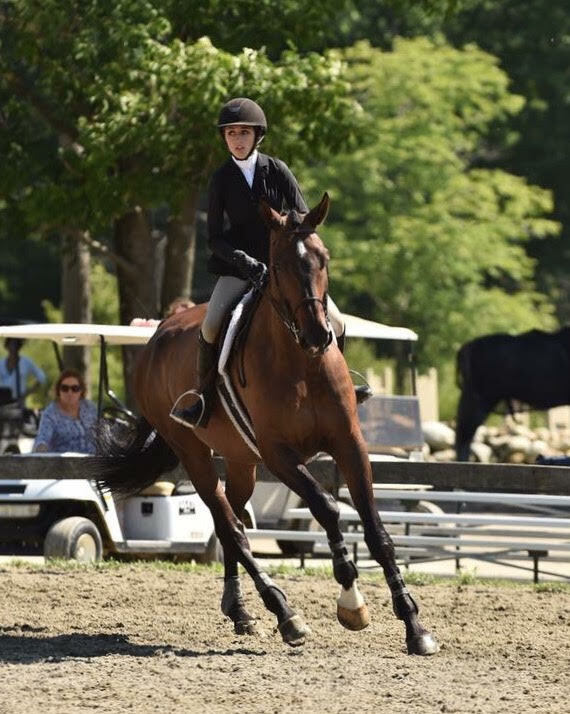 Floaty trot and very balanced canter. Extremely athletic. 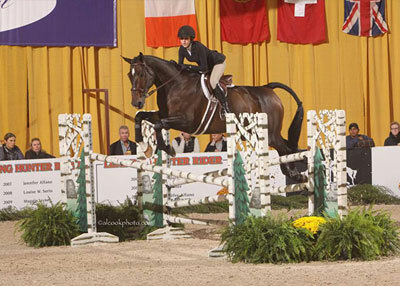 2007 16.3 Holsteiner Gelding by Carrico x Calgary. 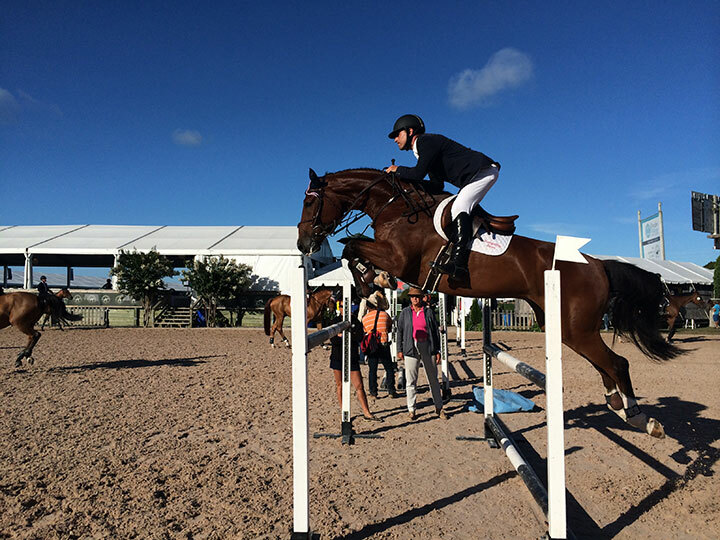 Colorful has shown successfully in the jumpers in Germany, and last year he placed in the 1.30m. 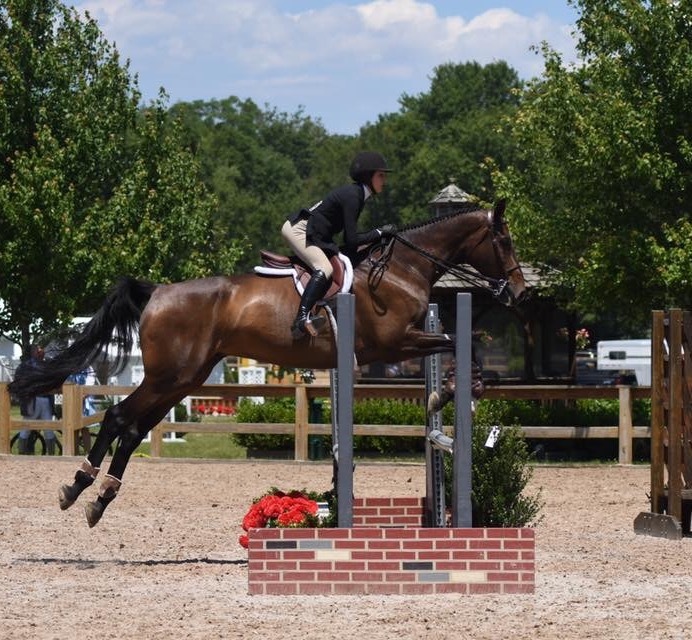 This horse is incredibly easy and would be suitable for a junior or amateur. 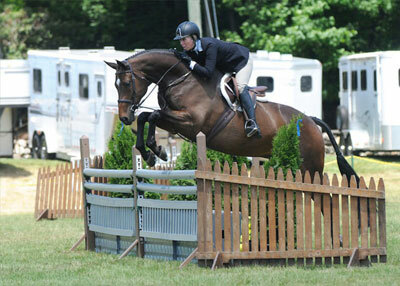 2011 16.2 Hanoverian Gelding by Graf Galen. Imported from Germany in August 2015. 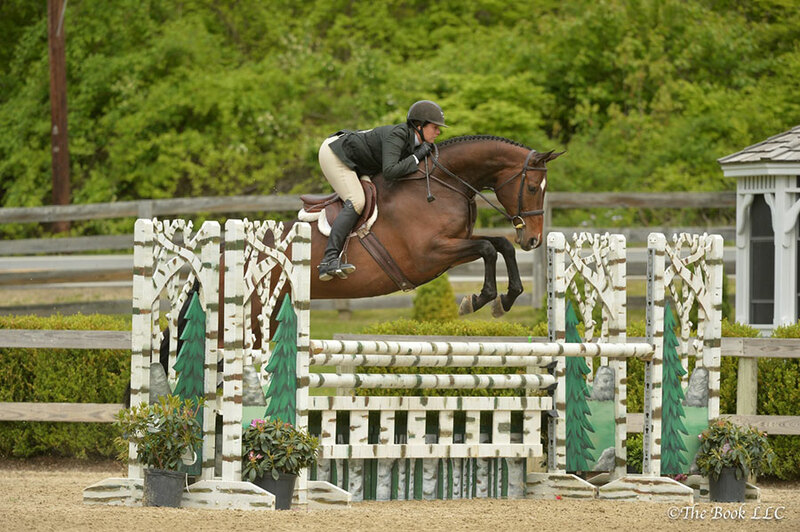 Good mover and very scopey jumper. 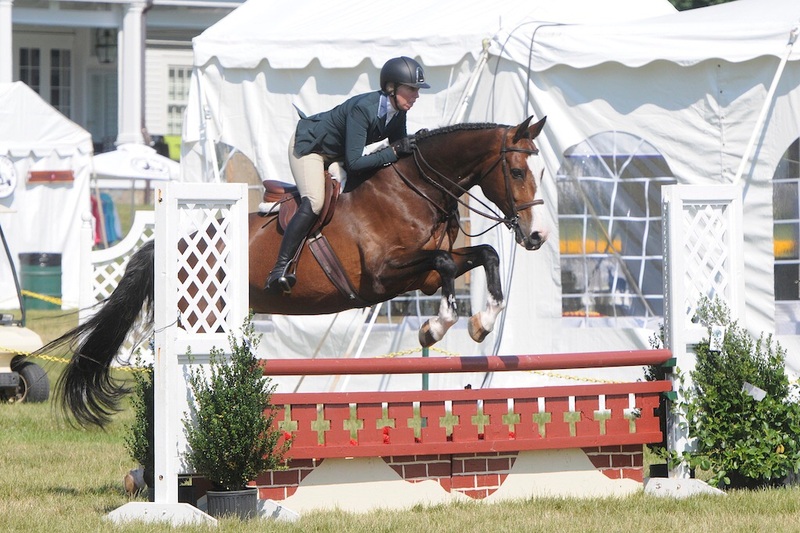 Bred for the jumper ring but quiet enough for the Hunter ring. 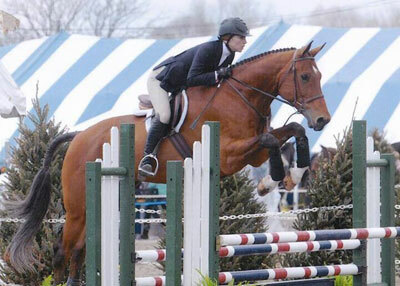 Molo is a 17.2hh Dutch Warmblood gelding, imported from Canada in 2010. He is a big horse with an even bigger heart! 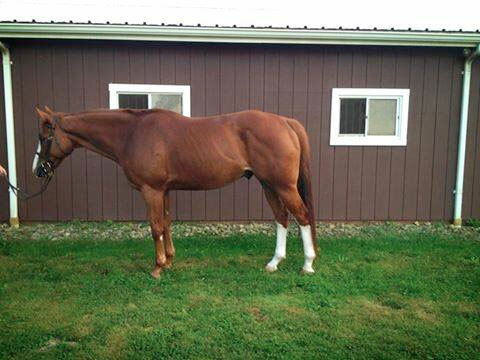 He is very laid back, has a long, slow, and VERY comfortable stride, along with an auto change. 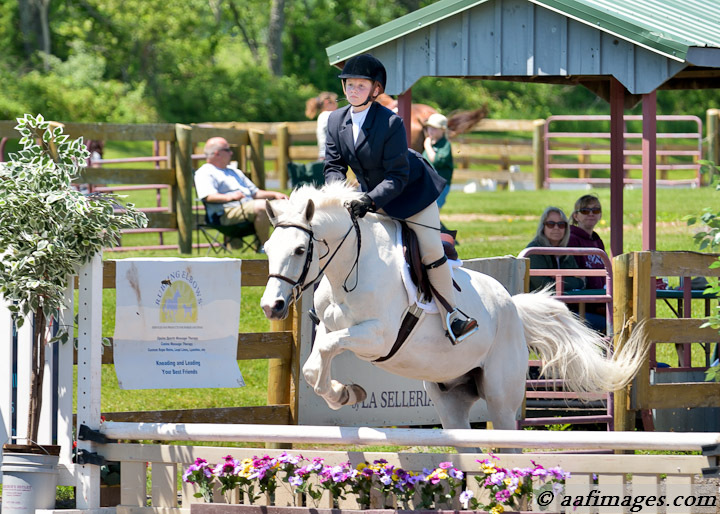 In just a few short weeks of owning him, Milo brought his rider from the PreChildrens division into the 3' ring. 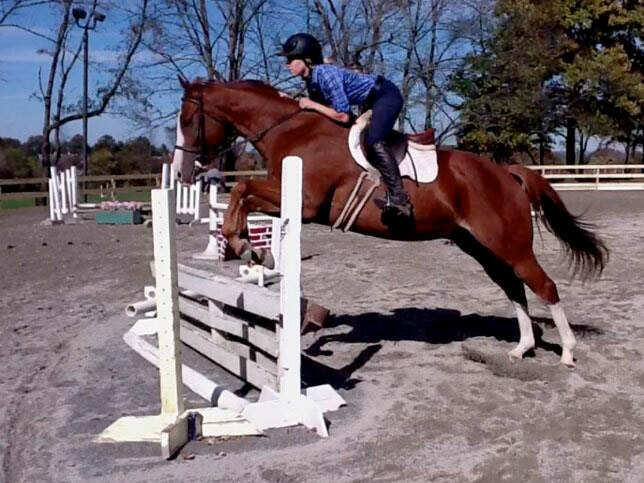 He showed this past year in the 3' equation and hunters, and is easily schooling 3'6" at home. Despite his size, Milo is a gentle giant, and has been declared husband and kid proof! 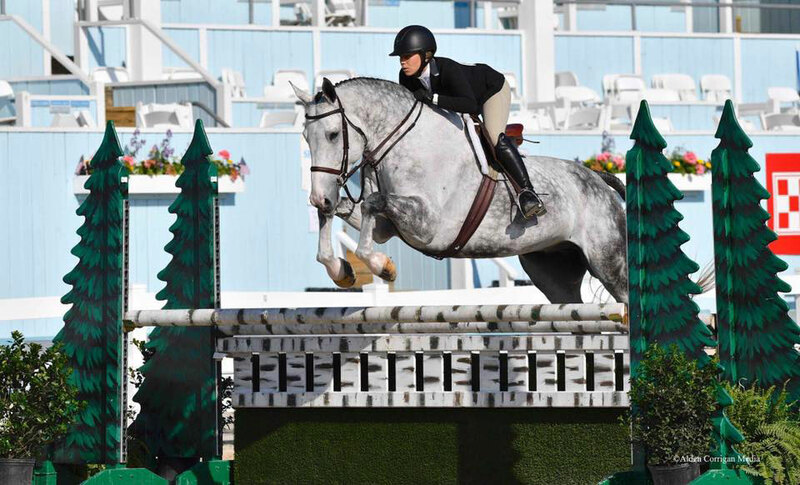 Milo is very quiet and forgiving, making him an ideal mount for a beginner junior or amateur, but also has enough talent and scope for a serious competitor. This horse always comes out the same, no matter how many days he's had off. 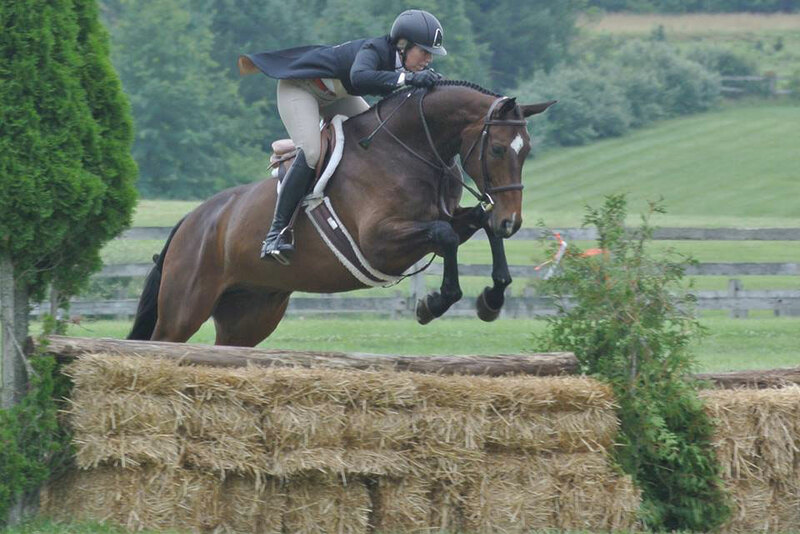 He loves trails, and is great in or outside of the ring. Asking $60,000. 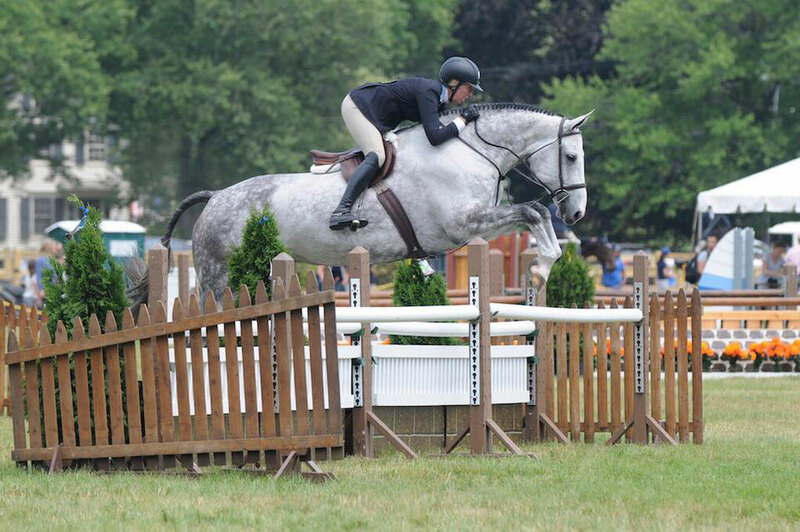 Leawood Cobbletone (Stoney) is a 14.1 hand (permanent card) 18 year old Welsh/QH gray gelding by Alra Blue Radiance. 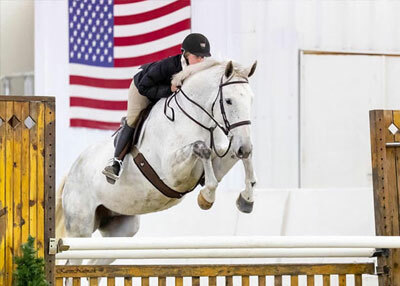 (USEF #4749131). 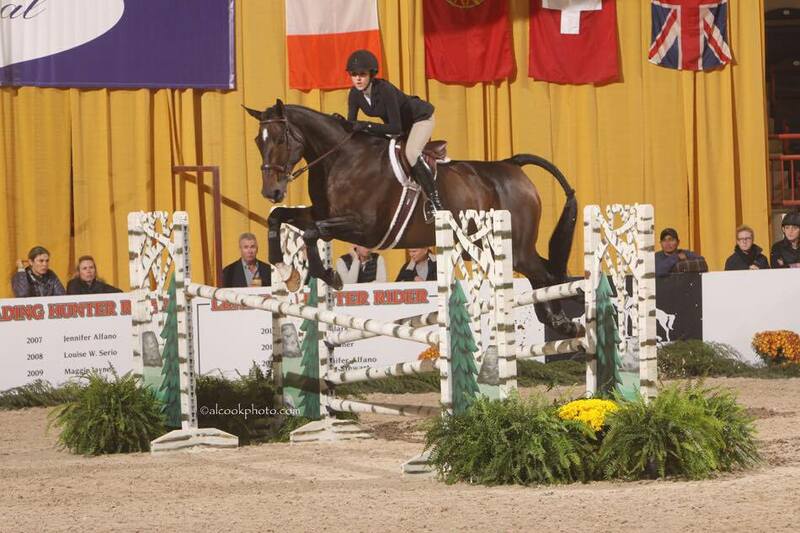 Stoney has done it all from young rider walk/trot to beginners to prechildrens. 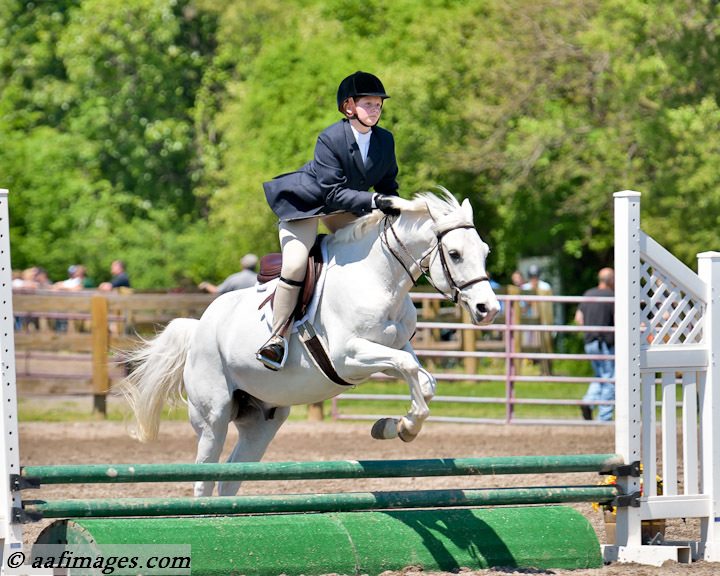 He would definitely shine in the childrens pony hunter division. 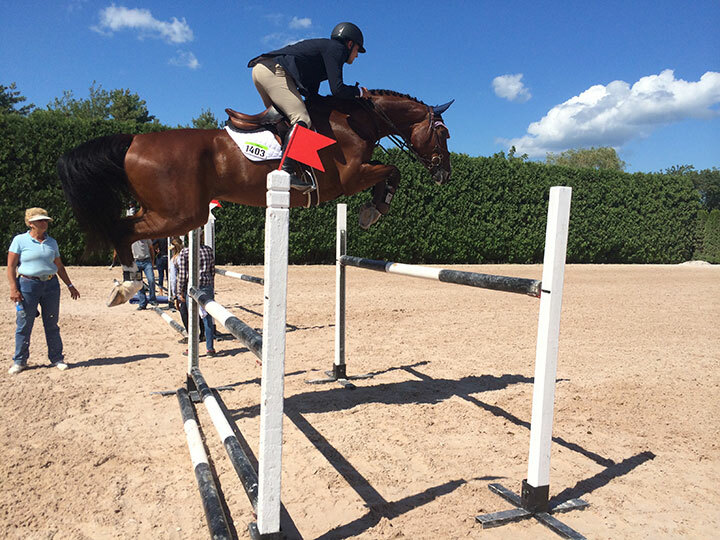 He is an excellent mover and jumper with an auto change. 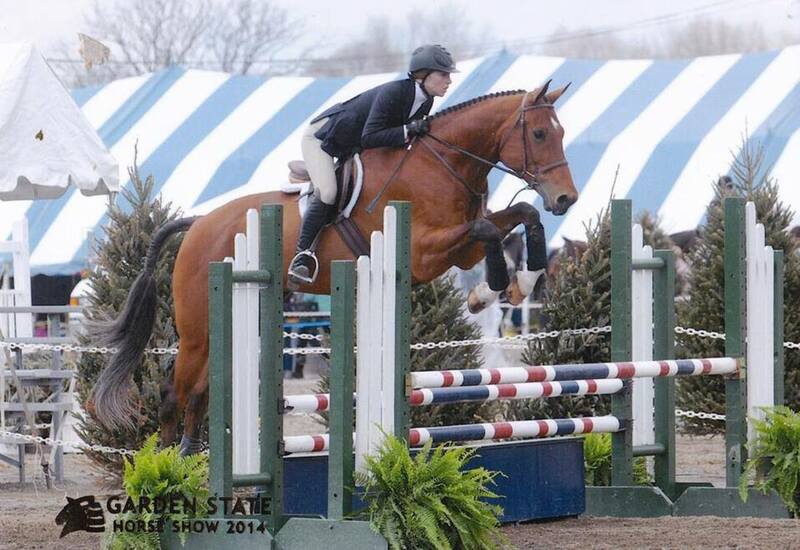 Stoney has taken his current rider from young rider walk/trot to pre-childrens and is now sadly outgrown. He is quiet and safe with no bad habits. He cross ties, clips, loads, etc. with no problems. Stoney's a great confidence builder. Up to date on everything and ready for his next new young rider. Asking $13,500. 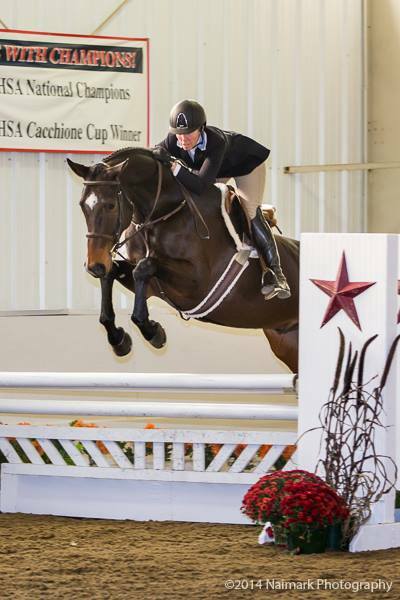 Graf Joe is a 2009, 17.1 hand imported Hanoverian gelding by Graf Top by Graf Grannus. To say he is special is an understatement! 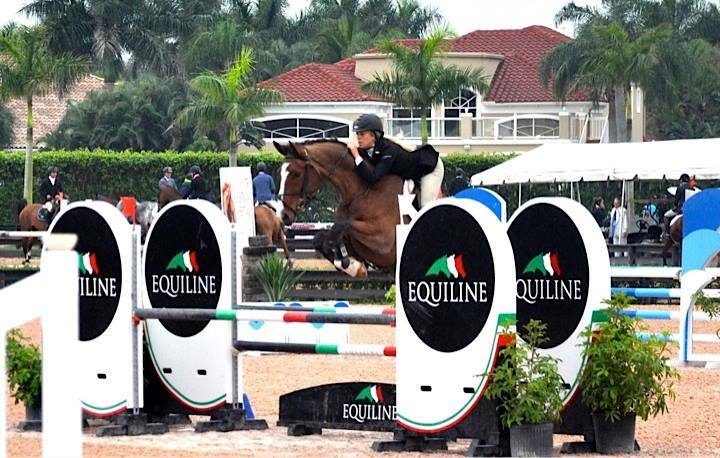 He is an amazing athlete with grand prix potential. 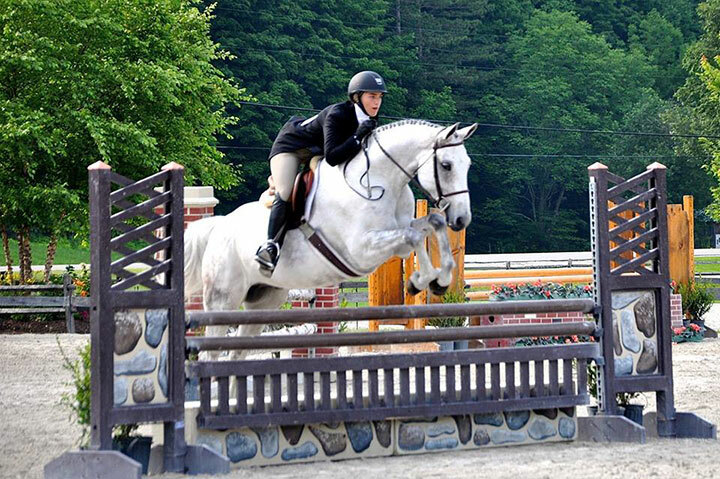 Joe also has the look and attitude to be a top equitation horse with a sweet in your pocket personality. He is scopey, built uphill, comfortable, brave. The adjectives can go on for miles. Plus he has stunning good looks, a real head turner. Joe walk, trots, canters, goes down the lines easily with an auto lead change. He steps over 3'6". 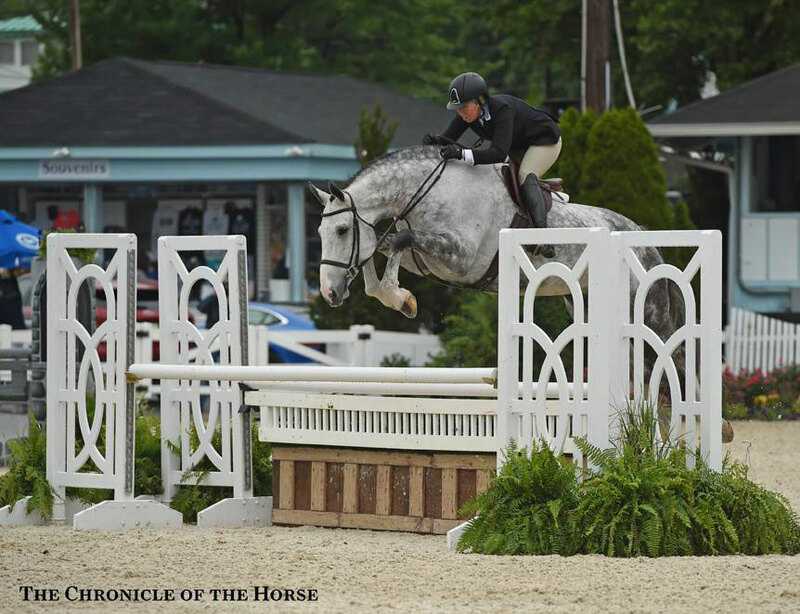 If you are looking for a young horse with endless potential, Joe is ready to be your star. 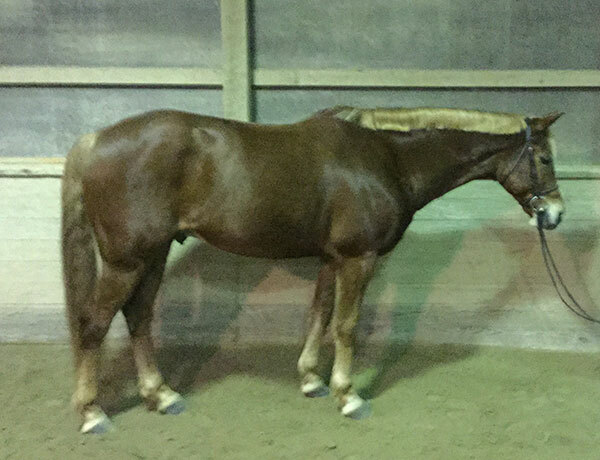 Travis is a cute 15.2 hand, 14 year old chestnut appendix QH gelding with a flaxen mane and tail. Travis has the fun, steady personality to match his good looks. 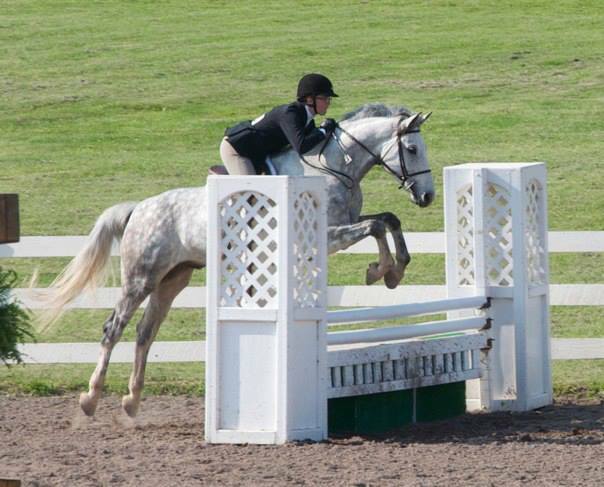 Travis is a good mover and an excellent jumper. 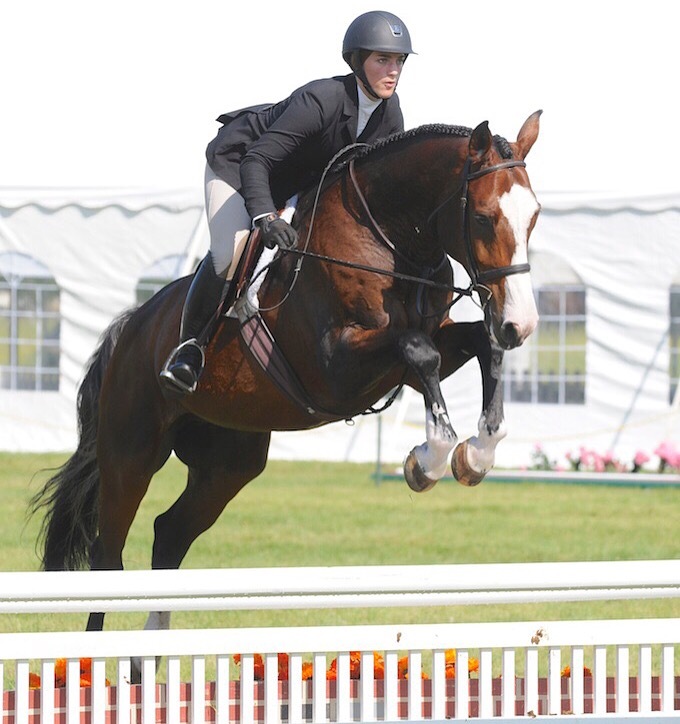 Owned by his present owner for the last 4 years, Travis has taken her skills from her walk/ trot pony to her C1 Pony Club rating. 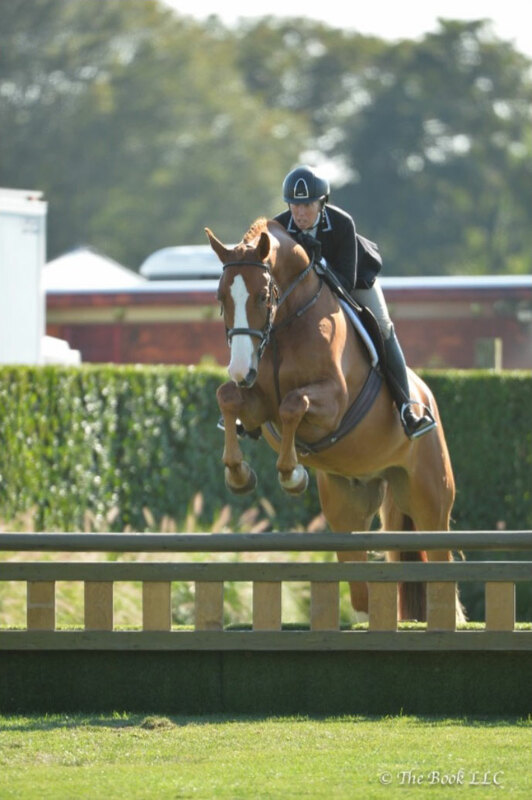 Ready for any new adventure, he has successfully done dressage shows, tetrathalons, eventing, show jumping and show hunters. 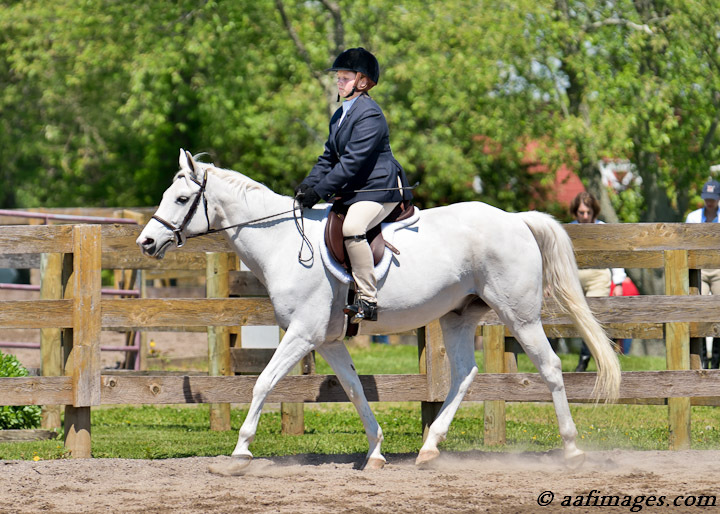 He has attended Lendon Gray's Dressage for Kids for the past three years. 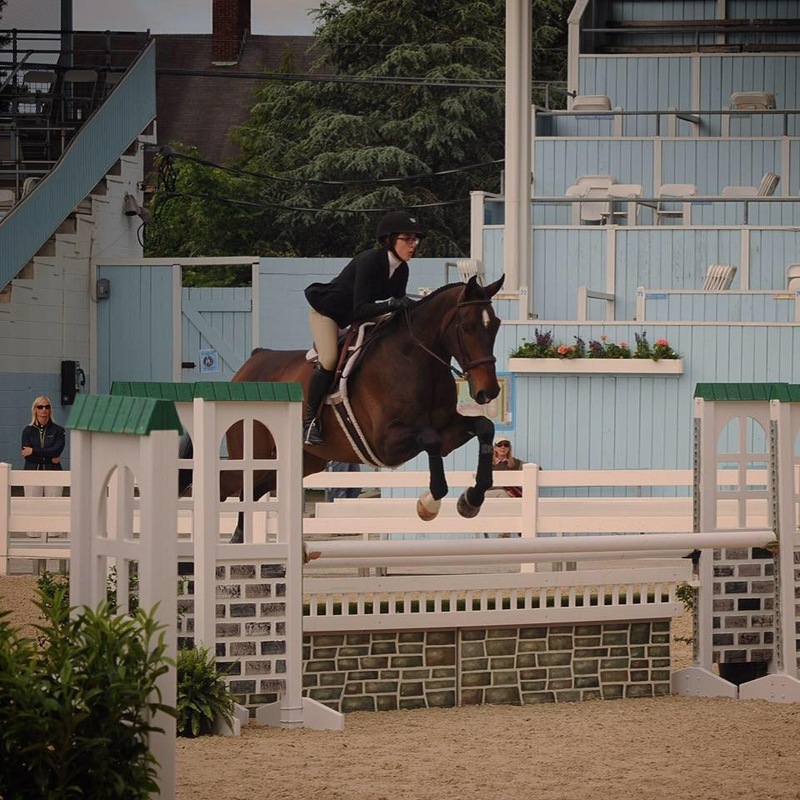 His previous owner did pre-children's hunter and equitation and the level zero jumpers. He is as good away from home as he is at the barn. 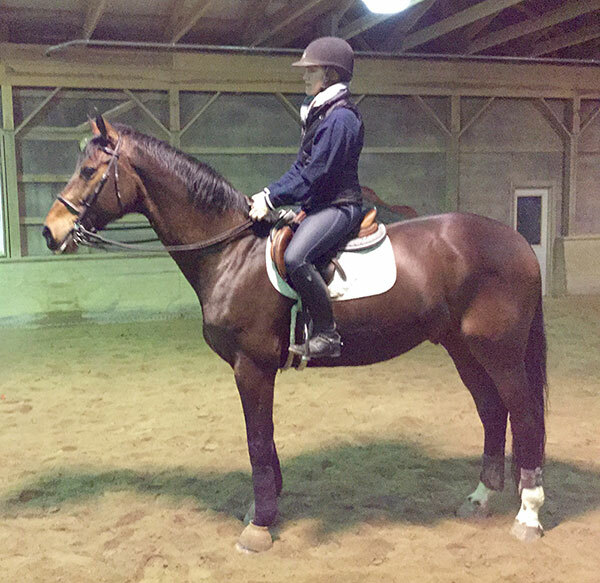 Travis has a wonderful disposition with no vices both on the ground and under saddle. 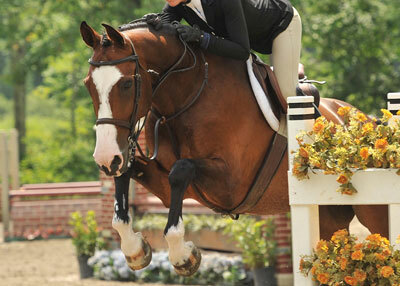 This is a no maintenance type of horse that goes happily barefoot. 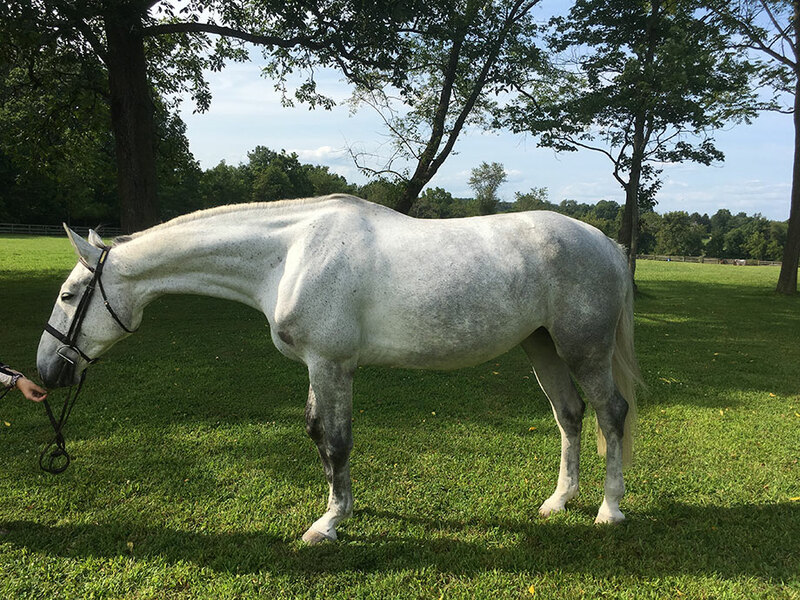 He is easy to work around, can be ridden off the property as well as in the ring, over fences, on the trails and in open fields. 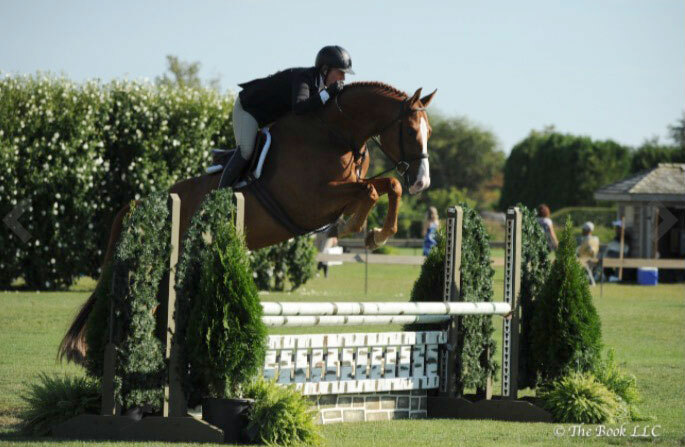 He is an all around great guy ready to bring his next rider wherever they want to go! 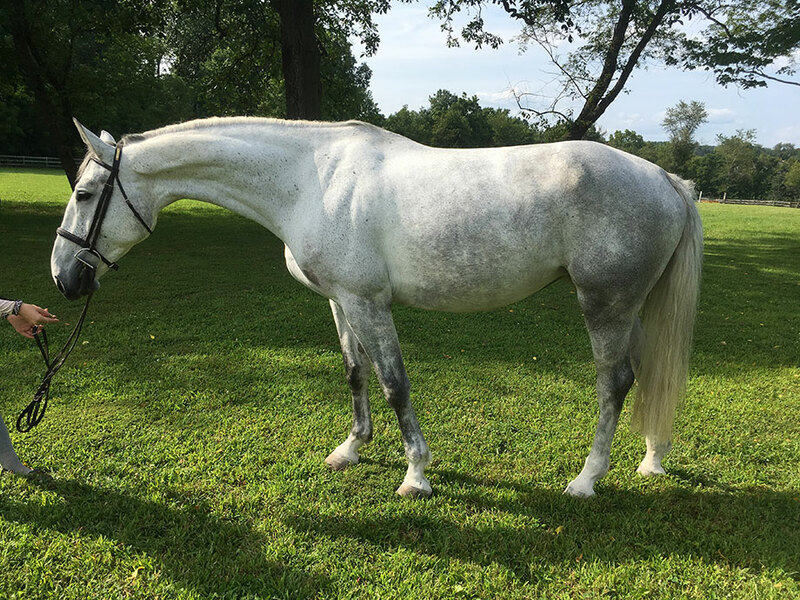 Bond 016 is an 8yo, 16.3 hand bay imported Oldenburg gelding. USEF # 5308847. He is a very special horse. Foaled 4/4/2007 and sired by Don Larino, Bond is impressive to watch. 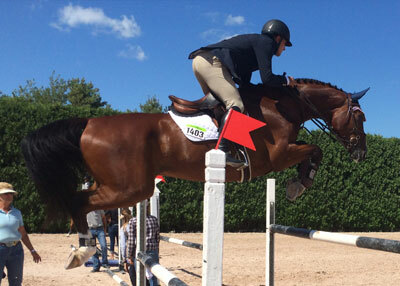 He is an excellent jumper - brave, careful and very adjustable. He jumps the banks, open water and has an auto lead change. 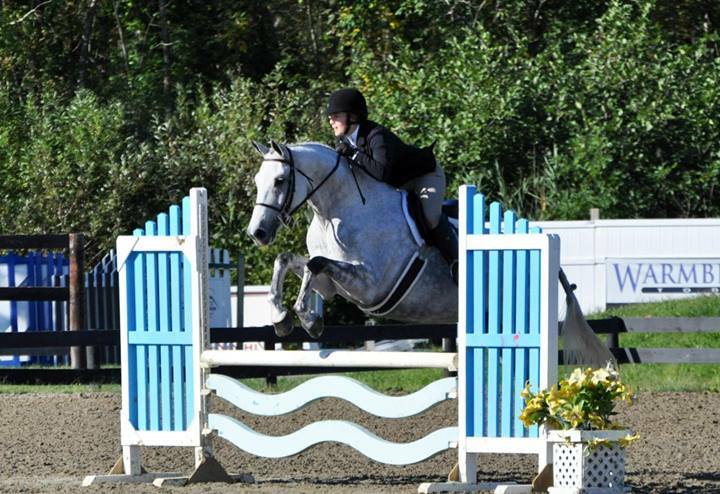 Bond is easy enough for a 3' equitation but has the talent, scope and work ethic to be a 3'6" equitation/ USET medal horse. 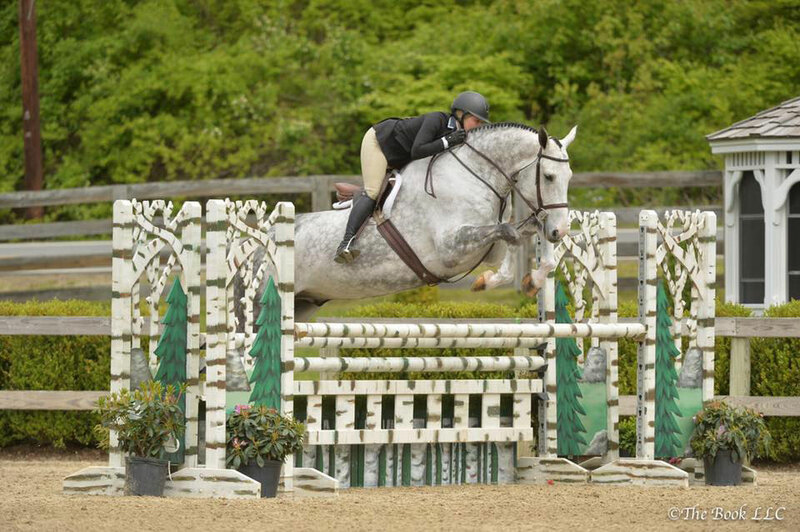 He also has the scope and talent to do the bigger jumpers. 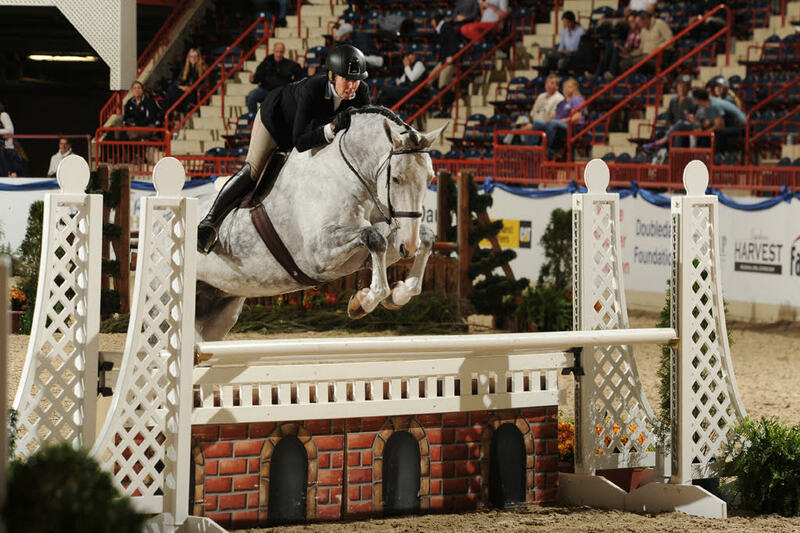 This horse is a must see! 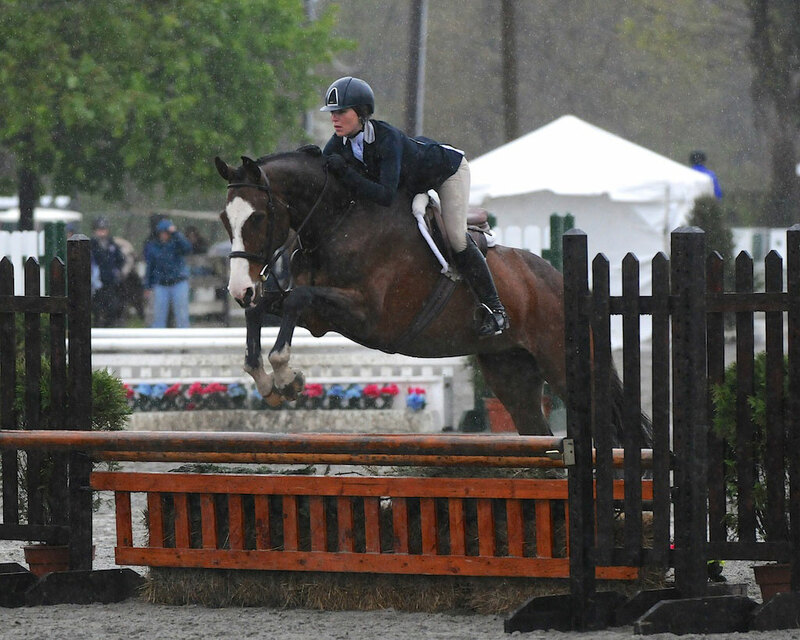 Hemingway (barn name Lapis) is a coming 9yo Zweibrucker Warmblood gelding by La Mode, foaled 6/6/2005. (USEF #4953919). Lapis is a stocky 16.1+ hands. 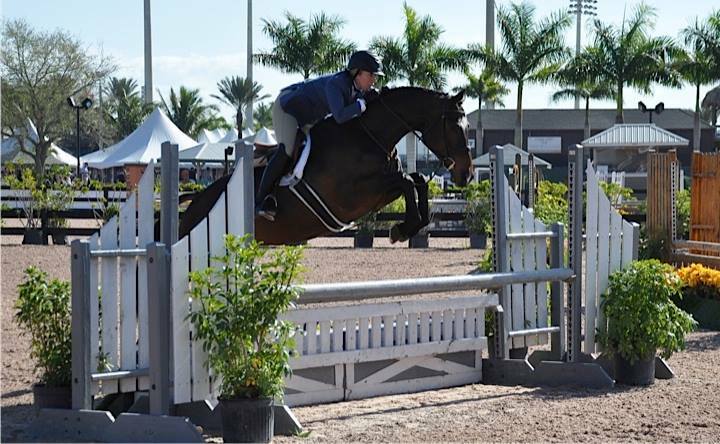 Purchased as a 5yo, Lapis has been brought along with professional guidance by his junior rider. He has been brought along through the Pre-children's to the Children's divisions. 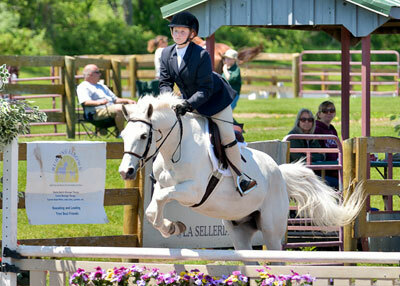 He qualified and competed in the 2013 M&S finals in Children's Hunters and Equitation. 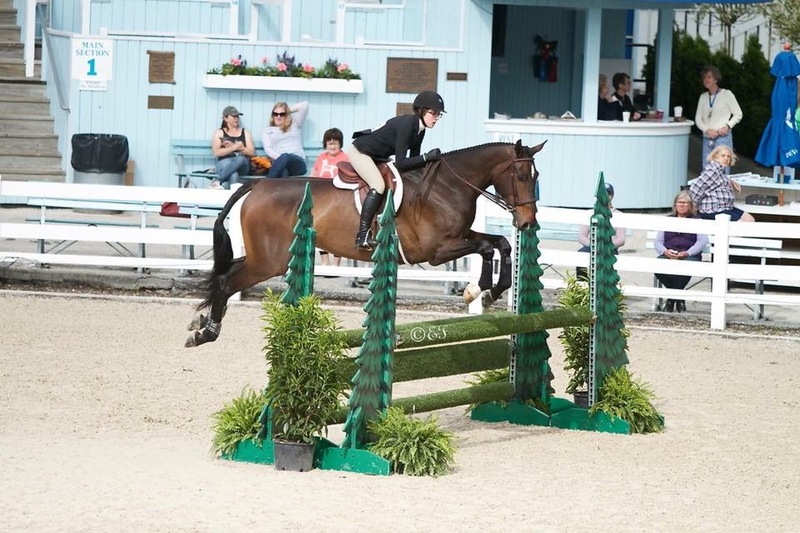 Currently, his 14yo rider has moved up to the 3'6" Equitation classes winning their first class fourth time out with this young rider doing all the riding - no pro warm up. 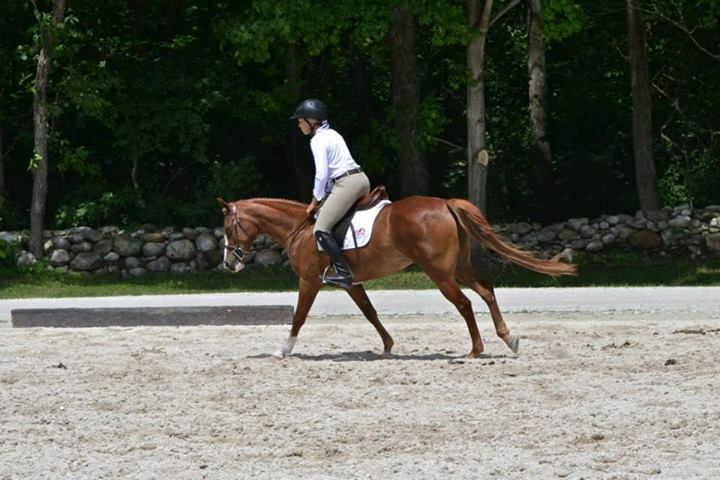 He has all the flat work - lead changes, counter canter and lateral moves. 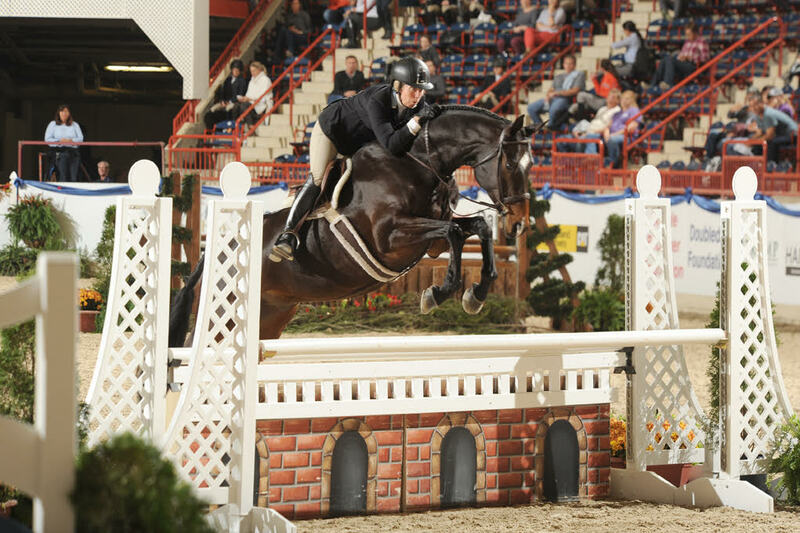 I cannot stress enough how EASY this horse is. 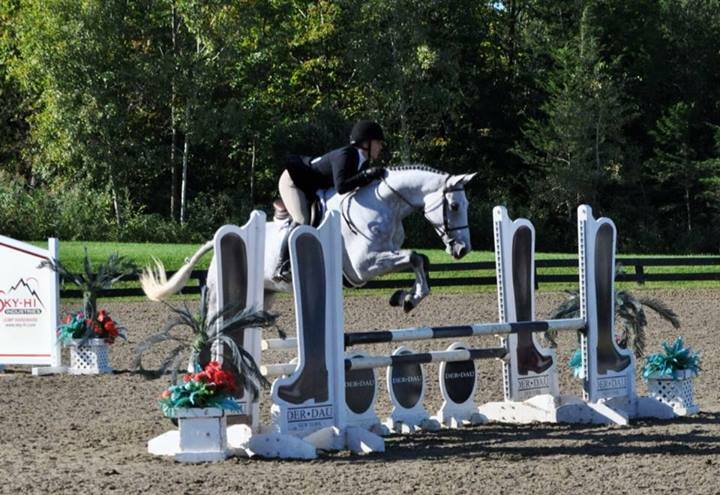 Sister can do the 3'6" and then younger brother can win in the 2'6". 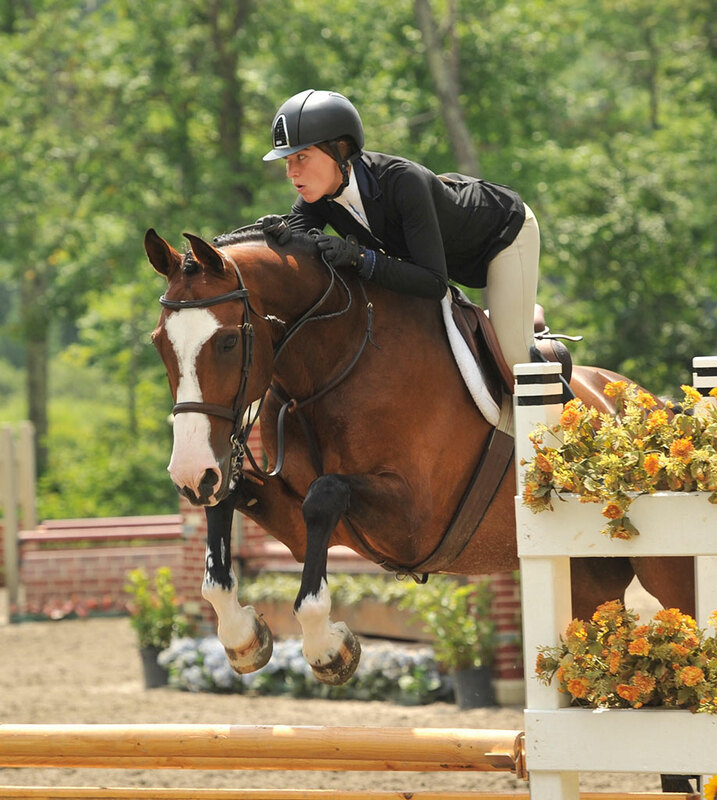 Lapis is an excellent jumper and could also be very successful in the Junior Division. 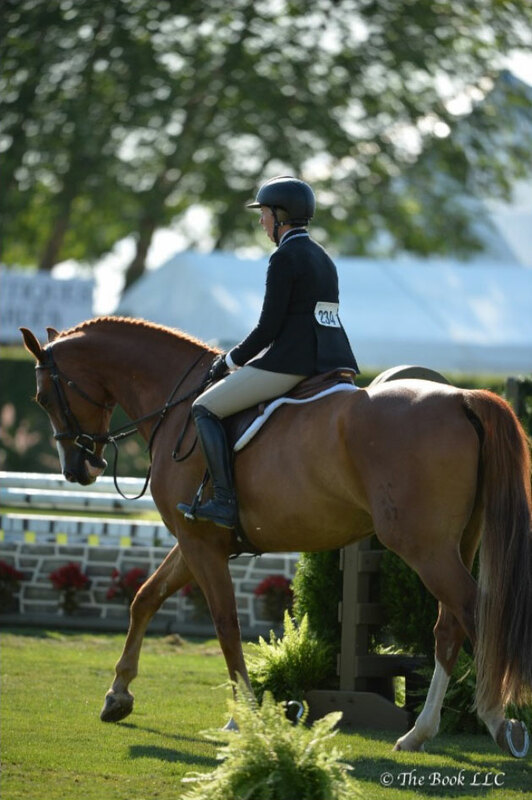 He is the perfect horse to bring your young junior rider out of short stirrup or off a pony and go all the way! 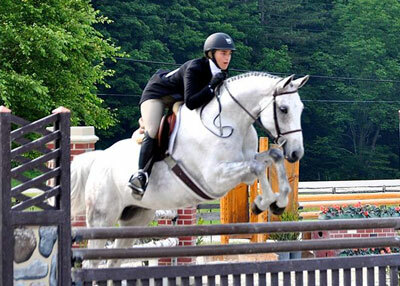 Reason for selling - rider needs a bigger horse. Fish is a 13.1 7/8 hand (permanent card) chestnut gelding with lots of chrome. 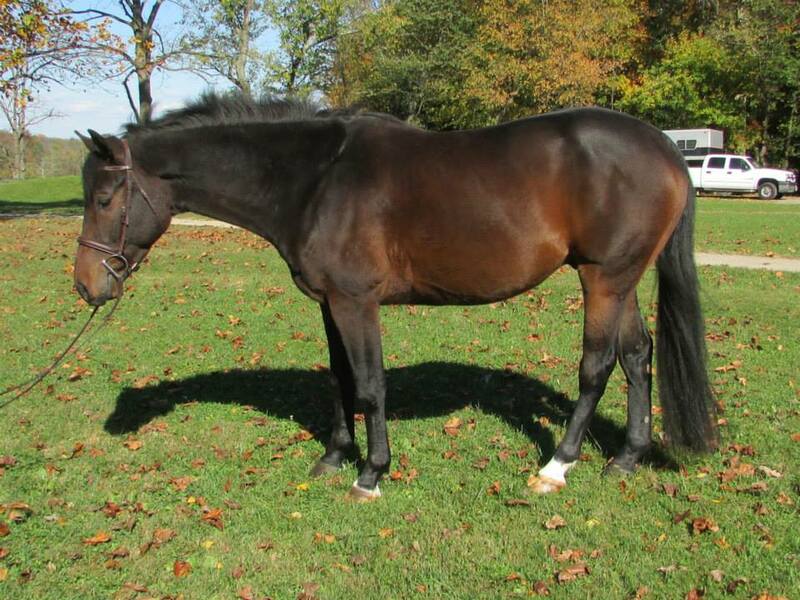 He is the son of Halcyon Sir Lancelot, foaled 4/30/2004. 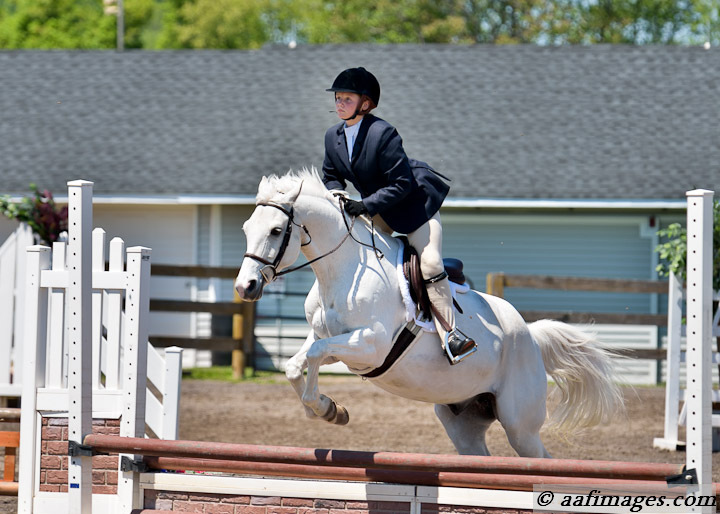 Fish is an American Crossbred Pony and a half welsh pony with the Welsh Pony & Cob Society of America. Fish has been shown lightly and is eligible green. 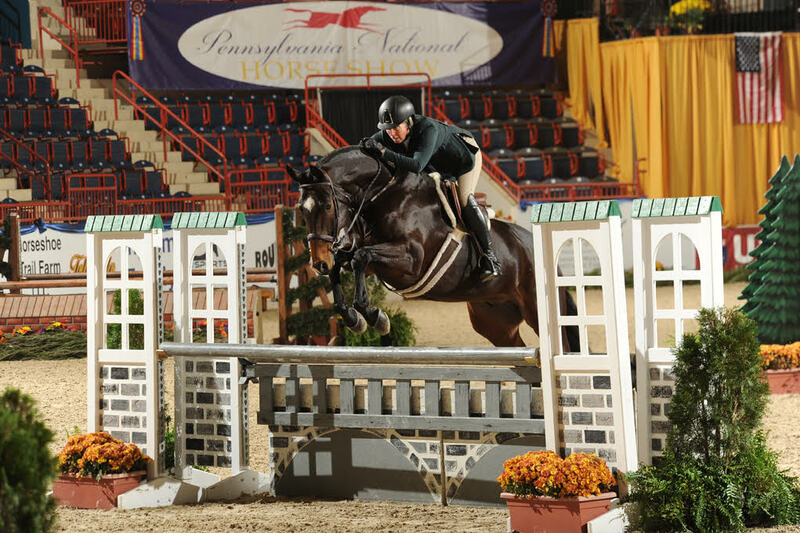 He is an excellent mover and jumper with a good step and brave to the jumps. 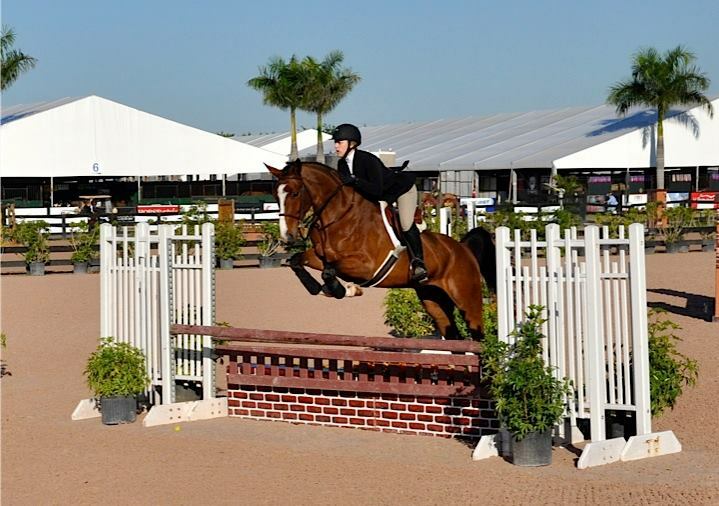 Currently, Fish is being shown by a 7 year old in the walk/trot division. He is ready to go on and start his pony career. 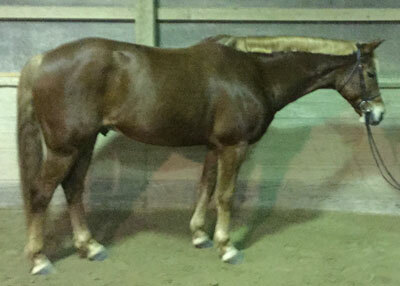 Copper is a 6 year old chestnut papered thoroughbred. As his name states he has lots of white. 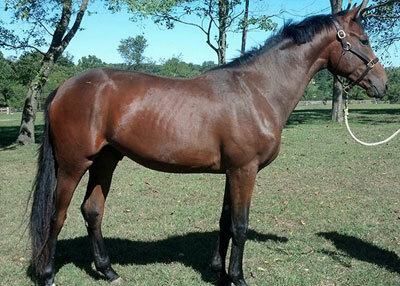 Born May 2, 2007, he was very lightly raced and retired uninjured from the track. Copper has been brought along and now walk/trots/canters and jumps courses. 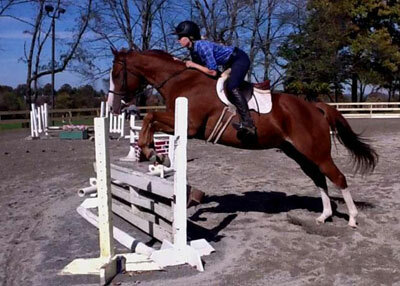 He is a very good mover and jumper. He is brave and lopes down the lines. He has been shown a few times and is ready to continue his career. 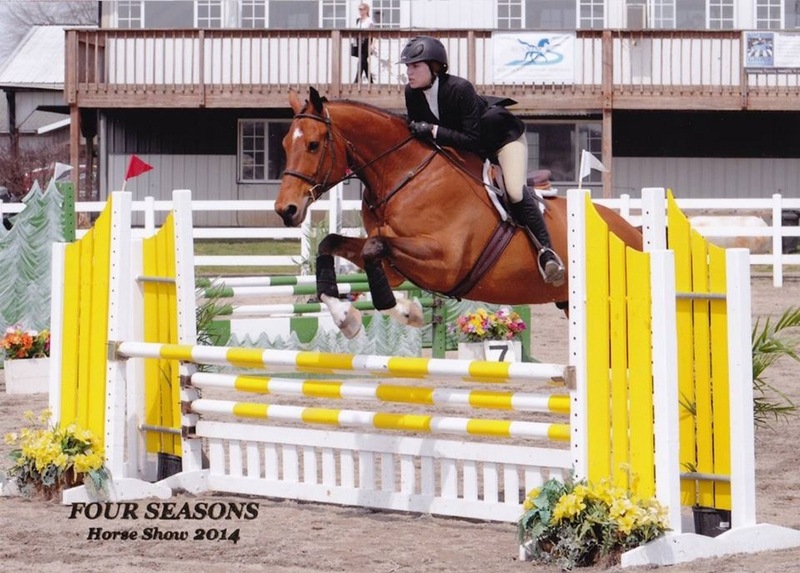 He will be a stand out in any division with his flashy looks and way of going. 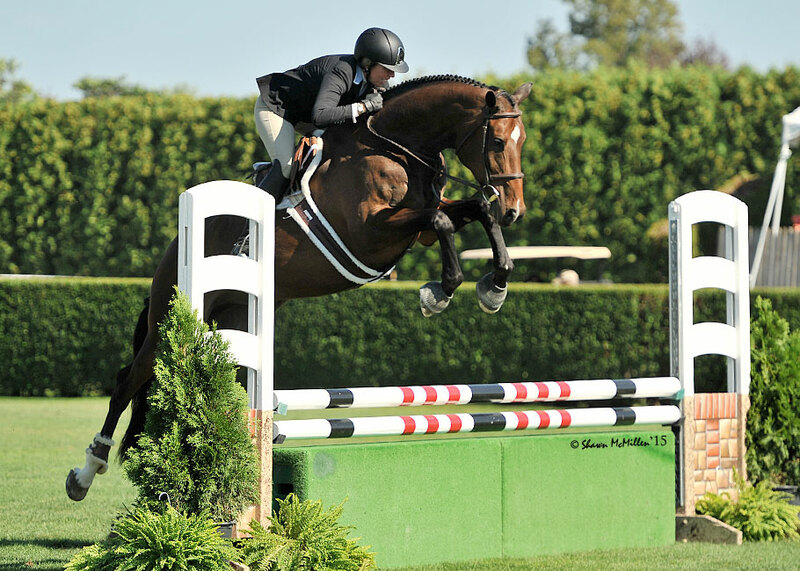 Limerick is a great mover with a textbook form over fences, which makes him a top condenser for the hunter ring. He is very quiet and has a great brain. 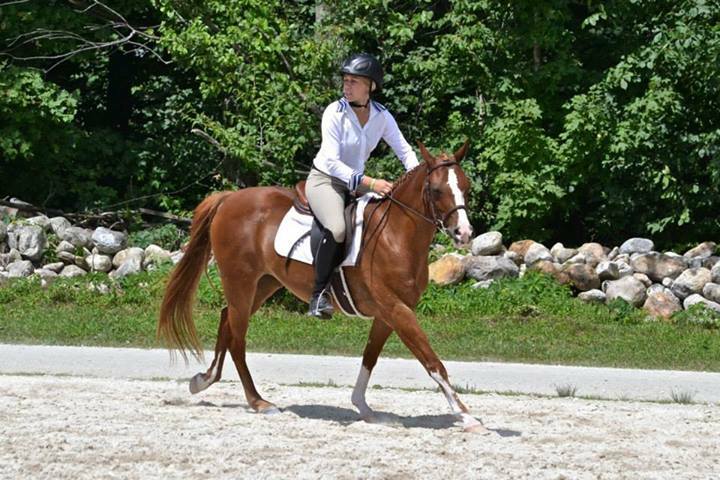 He has 3 comfortable gaits, auto changes, a long slow stride, and very laid back attitude. 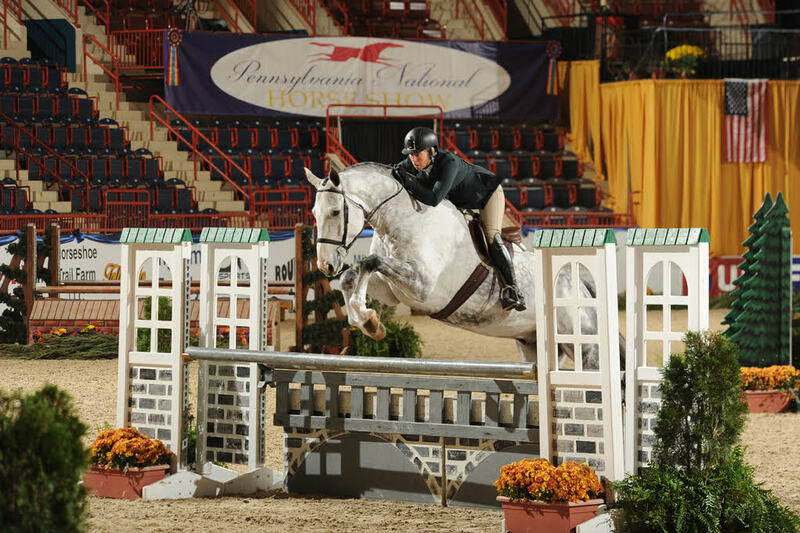 Limerick is simple enough for a junior or amateur, but possesses enough talent and scope for the pro divisions. Has mileage in the 2'6", starting the PreGreens in 2014.